Brand: Wilton 603-1236 Units: 2 oz. 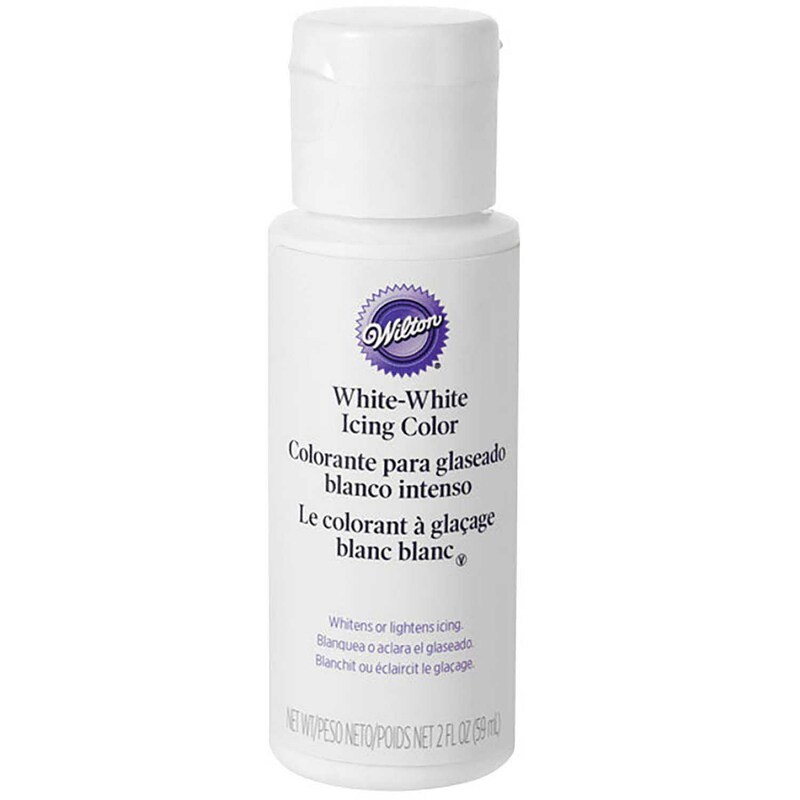 bottle Whitens icing made with butter or margarine. Perfect for making white-white wedding cakes. Whitens icing made with butter or margarine. Perfect for making white-white wedding cakes. Ingredients: Titanium Dioxide (Color), Glycerin, Water.